As we age our skin becomes increasingly dehydrated. It becomes less luminescent, loses elasticity and firmness. External elements such as sunlight and pollution can exacerbate these signs of ageing, and changes in pigmentation and the appearance of lines and wrinkles can increase. 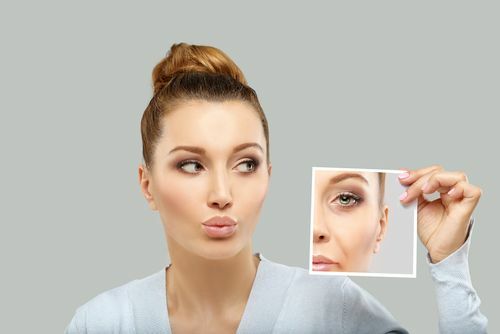 It can be very difficult to accept these physical changes, particularly when you may still feel like a twenty year old on the inside, and this is partly the reason for the increased popularity of injectable cosmetic procedures. These treatments are used primarily on the face and work to create smoother, brighter, younger and more vibrant looking skin. They can be done in your lunch break, and require no downtime meaning that they have all the benefit of great results but without the hefty price tag and length recovery process. This page is going to have a look at three of the most popular injectable cosmetic surgeries in the U.S. today. Botulinum toxin type A, otherwise known as Botox, is an injectable neurotoxin. Neurotoxin injections are the most popular single cosmetic procedure in the U.S. and have been made particularly famous by a number of celebrities who use them to retain their smooth, youthful complexions. Botox can also be used to reduce excessive sweating. Ahead of Botox treatment you will meet with your cosmetic surgeon to discuss your areas of concern and medical history. There is very little risk of complications for the majority of patients, but your surgeon will still require full details of your medical history to ensure that the procedure is right for you. You may be given a topical anaesthetic to numb the area prior to injection, but as the procedure is not painful you may choose to forego anaesthetic altogether. Your surgeon will then inject the Botox solution into your skin at strategic points, again this may be a little uncomfortable but certainly not painful. Your appointment will probably take less than an hour, after which you can return to your regular activities. Your surgeon may suggest that you avoid exercise or saunas for the remainder of the day. Side effects; if any; should be mild and may include slight swelling at the injection site, redness or bruising. The final result of your treatment should be reached between 3 and 7 days after your procedure. The length of the result varies from person to person, but typically lasts between 3 and 6 months. 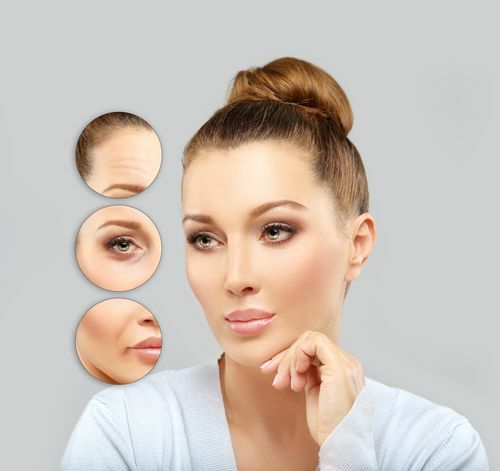 Your surgeon will be able to assess your result and advise you on a schedule of Botox in order to maintain your new bright and youthful appearance. Restylane is a well know injectable treatment that works by restoring our natural levels of Hyaluronic Acid. Hyularonic Acid - sometimes referred to as HA - is a naturally occurring sugar found in our bodies that helps to keep our skin hydrated and youthful. As we get older our HA production slows which results in dehydrated skin that is prone to lines and wrinkles. Combined with external elements such as exposure to sunlight, pollution and the general reduction in facial plumpness, our skin can quickly look tired and aged. Restylane offers a range of treatments that inject small amounts of Hyaluronic Acid into the skin, effectively hydrating it from within. Treatments available include fillers and skin boosters. Ahead of Restylane treatment you will meet with your cosmetic surgeon to discuss your areas of concern and medical history. There is very little risk of complications for the majority of patients, but your surgeon will still require full details of your medical history to ensure that the procedure is right for you. You may be given a topical anaesthetic to numb the area prior to injection, but as the procedure is not painful you may choose to forego anaesthetic altogether. Your surgeon will then inject the HA solution into your skin at strategic points, again this may be a little uncomfortable but certainly not painful. The results of your procedure should start to be evident immediately. The length of the result varies from person to person, but typically lasts between 3 and 6 months. Your surgeon will be able to assess your result and advise you on a schedule of Restylane in order to maintain your improved look. Bellafill is an injectable treatment that uses collagen to improve aesthetic appearance. It works as a dermal filler by plumping areas of uneven skin in order to reduce lines and scarring. It is most commonly used to reduce deep lines in the nasolabial folds, lifting them to the same level as the surrounding skin. It also works well for acne scarring and can dramatically improve the smoothness and overall appearance of facial skin. Ahead of Bellafill treatment you will meet with your cosmetic surgeon to discuss your areas of concern and medical history. There is very little risk of complications for the majority of patients, but your surgeon will still require full details of your medical history to ensure that the procedure is right for you. You may be given a topical anaesthetic to numb the area prior to injection, but as the procedure is not painful you may choose to forego anaesthetic altogether. Your surgeon will then inject the Bellafill solution into your skin at strategic points, again this may be a little uncomfortable but certainly not painful. The results of your procedure should start to be evident immediately. The length of the result varies from person to person, but Bellafill is known for its long-lasting results, with some people still very pleased with the result even 5 years post-treatment.